Last weekend was one heck of a blast at KLCC (Convention Centre) as two major events Comic Fiesta 2012 and TGX 2012 were held at the same venue, despite in different halls. 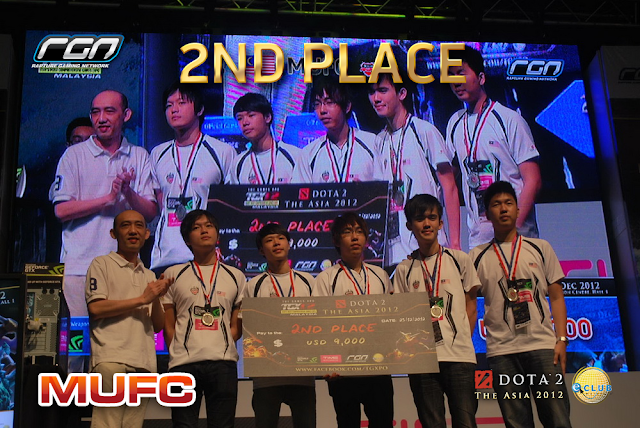 Though we can not rid yet of how awesomely packed the place was with gamers, cosplayers and comic-enthusiasts alike, this post will first serve to highlight one of the biggest regional esports tournament this year, DOTA 2 The Asia held in conjunction with TGX 2012. Attracting and bringing all the top talents of DOTA 2 around this region and even renown shoutcaster Toby 'TobiWan' Dawson in one venue, The Asia was set to be a massive sight and a must-go event for all DOTA and esports fans. True enough, though sound systems backtracked the event a little, it indeed soon proved to be one heck of a festival for both avid fans and onlookers alike. But in midst of all these, are the true carry-ers, gankers and supporters in the game, focusing hard and working as one to grab an edge over the other team. All dedicated whatever they had, all played with profession and sportsmanship, but some were less fortunate, while some, advanced. 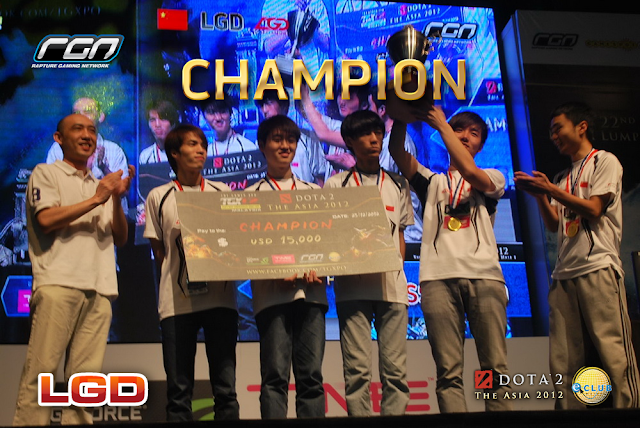 After the two days long tournament, after rounds of hard battles and overcoming some serious ganks, team China's LGD eventually took the lead against Malaysia's very MUFC in the finals, taking home the tournament title along with $15,000, while MUFC had to settle with 2nd place and $9,000. Meanwhile, Orange Esports, after succumbing to co-country team MUFC during the semi-finals, proceeded to take hold of the Philippines' MiTH-Trust, gaining 3rd place and $6,000. 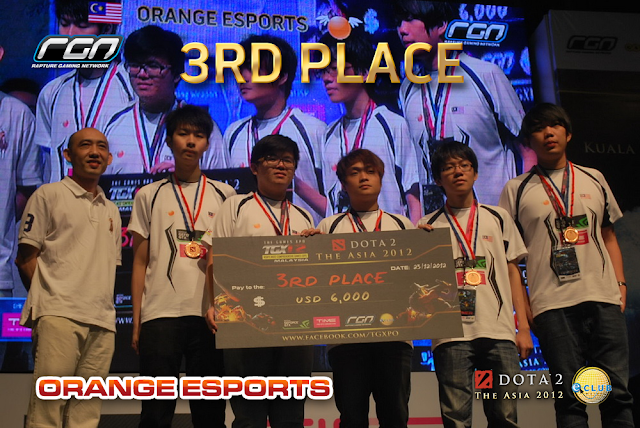 I would also like to use this opportunity to commend both our boys Orange eSports and especially MUFC. MUFC gave a pretty solid performance from the very start, being the only team in the competition who was completely undefeated during the group stages and obviously, before the finals. Both of our teams had done Malaysia very proud for taking 2 out of the top 3 places, among all the top talents an in such a competitive regional scene. Keep it up! Thank you, RGN for the photos!